Welcome to HorrorPhone! Want to freak out your friends? Shock your siblings? Prank your parents? HorrorPhone employs motion detection formulas to surprise and scare your targets. 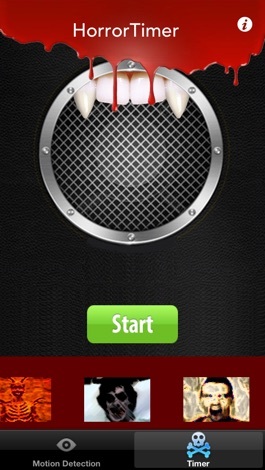 Whether used for fun or as a personal alert, HorrorPhone has timer selection settings as well as customizable horror tones for your detection alarm. Set your motion detection and place HorrorPhone in your friend's drawer, and wait for the hilarity to ensue; place it on the couch for your next unsuspecting family member to sit, the possibilities are endless. 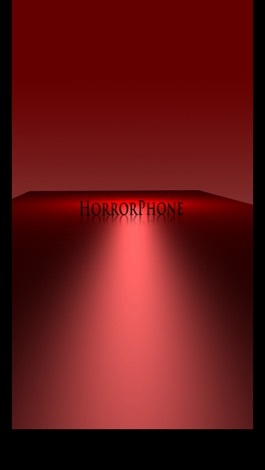 In the spirit of lighthearted surprise gags, HorrorPhone is a fun way to spook those around you using your iPhone.